Tone Up, Have Fun, Learn a New Skill! "An ancient dance form for the modern woman!" For details of classes and courses in the South West London / Surrey area please visit the Bellydance Classes page. 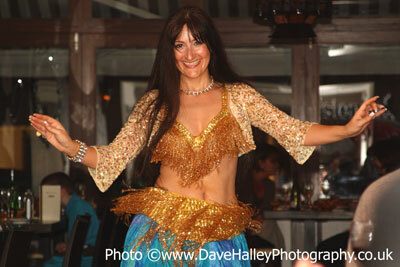 Please check for new classes and updates - see my Bellydance Classes page or Contact Me. Please visit my Zumba® Classes page for further details. Most classes run outside of term dates. Student Hafla! Workshops! Theatre Trips! Outings and more - see my Events Page.